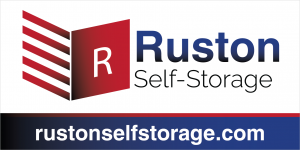 Contact Us Contact Ruston Storage today. Ruston Self Storage facility is a newly-built, highly-secured, ultra-modern, self storage facility which services the storage needs of tenants in Louisiana. We are easily located near some prominent landmarks like Super Wal-Mart, Lowe’s Home Improvement, Cedar Creek School, Jim Taylor Ford, North Village Pizza and Celebrity Theaters to name a few. We offer a mix of personal storage and business storage solutions, giving our tenants different self storage options to choose from. Our self storage units cut across different shapes, sizes and purposes. If you’re looking for temperature controlled storage, we have you covered. Our storage facility houses some of the best mini storage units available in the Louisiana area. Our different self storage solutions make us your best bet for all your residential storage needs in Ruston, Louisiana. From top-notch security measures put in place in the facility to the solid well-built edifice we are housed in, our tenants can rest assured that renting one of our self storage units is the best choice. At Ruston Self Storage, we are here to connect you with the best mini storage in a clean, well-lighted and safe facility. Contact us today to learn more.